Home Uncategories 'Bourne Legacy' Production robbed while filming at Navotas Fish Port?!? 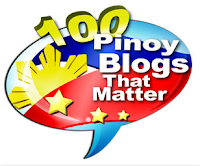 'Bourne Legacy' Production robbed while filming at Navotas Fish Port?!? 'Bourne Legacy' production team got robbed in Manila on their 14th shooting day? 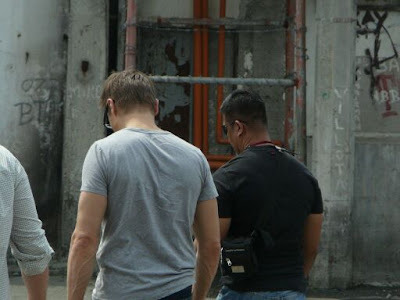 'The Bourne Legacy' Manila shoot marks its 14th day today, January 25, exactly two (2) weeks since the filming began in January 11. Everything has been going fine and flowing smoothly since they started shooting here, except that the production team allegedly got robbed while filming at one location today. According to a report from GMA's '24 Oras' earlier, the 'Bourne Legacy' production's 3 rolls of electric cables with estimated amount of over 100-thousand pesos reportedly were stolen during the shoot today at the Navotas City Fish Port Complex. Really? That's so shameful! It's definitely more fun in the Philippines, isn't it? The incident is only 2 days after a group of foreign tourists also lost their belongings in Binondo, Manila last Monday. As reported on GMA's "24 Oras" last night, it happened while the tourists were dining at a fast food chain in Binondo, when a man at the other table stole their baggage. The incident was caught on CCTV. The foreign tourists visited Binondo to witness the grandeous Chinese New Year celebration there, which they documented on video. After Navotas Fish Port, the Bourne Legacy's next location will be in Intramuros then at Taft Avenue, and in Palawan by the end of the month. Marian Rivera's new haircut looks great!